Alley advocates have long worked to change the idea that Seattle’s alleys should be purely utilitarian. Now they have examples that prove their point. Forget the trash pickup: Canton Alley had different plans on a recent Tuesday night. Dozens gathered in the narrow Chinatown passage to hear author Bob Santos speak on his new book about the “Gang of Four,” a minority-rights advocacy group he was a member of in the 1960s. Santos signed copies near the northern end of the alley and treated the crowd to stories as the sun went down. A combo played relaxed renditions of jazz standards at the other end of the stretch, with people sitting and chatting in red chairs in between, the narrowness of the space creating a lively, intimate mood. The event is part of a multiyear effort to turn Canton Alley into something more than a dark, grimy place best suited for dumpsters and deliveries. Similar efforts are under way for about a dozen other alleys across the city, in hopes of renovating their character, as well as their physical appearance. It’s part of a trend called “alley activation” that’s also under way in cities such as Chicago, San Francisco and Fort Collins, Colo.
“A lot of alleys are these off-limits, fear-inducing places, and so we easily dismiss them,” said Brice Maryman, a landscape architect for SvR Design, which has worked on renovating several alleys in Seattle. In Seattle, the best example of a well-loved alley is Post Alley near Pike Place Market. West of First Avenue, it runs from Virginia Street down past Madison Street, and once had a dark reputation. But the entire stretch was legally renamed by 1979, and shops moved in around the early 1980s, according to Jennifer Ott, a historian for the website HistoryLink. The Pink Door restaurant opened up in 1981, and Kells Irish Restaurant & Pub in 1983. Now, hundreds of people a day visit the alley’s many restaurants, bars and stores. Canton was once a bustling alley, too. 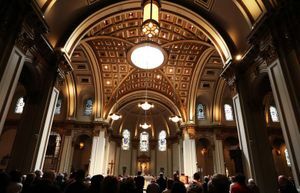 “It used to be a place where local kids played, where people sold produce,” said Ching Chan of the Seattle Chinatown International District Preservation and Development Authority, the community organization that helped put the Bob Santos event together. 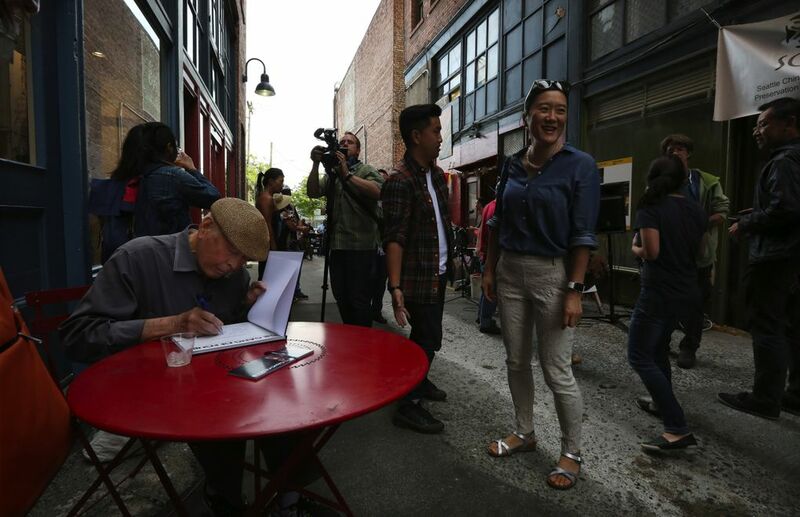 Chan wants to bring that spirit back, as do people working on other alleys in Pioneer Square, Capitol Hill and the Chinatown International District. To these alley advocates, using public space in a more efficient manner is crucial in a dense city like Seattle. A 2010 study by Gehl Architects, the UW Green Futures Lab and the Scan Design Foundation estimates downtown Seattle has about 217,500 square feet of alleys, and just 15 percent are used for more than utilitarian services such as deliveries or trash pickup. Not that alleys still don’t have issues. In some areas, they have been such a problem that the city has closed them to the public. 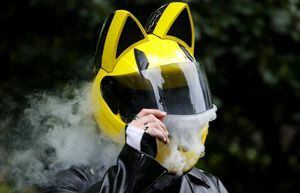 In the “9½ Block Strategy,” for example, officials have restricted access to some downtown alleys to try to prevent drug dealing and other crime. But proponents of alley renovation say giving those spaces a face-lift might work better. Most alley activations are grassroots efforts, launched by residents, business and property owners, and local nonprofits. Take Nord Alley, in Pioneer Square. Back in 2008, Nord was one of the first alleys to experiment with adding landscaping and events to make it a more desirable place. Together with nearby South Post and Pioneer Passage alleys, it is now a key slice of public space for the growing Pioneer Square district. A group called the International Sustainability Institute brought the first major events to those alleys, an effort to showcase alleys’ potential. They’ve helped stream soccer matches in Nord Alley during the 2010 and 2014 FIFA World Cups. And there are regular art exhibits in Nord during Pioneer Square’s monthly First Thursday Art Walks. 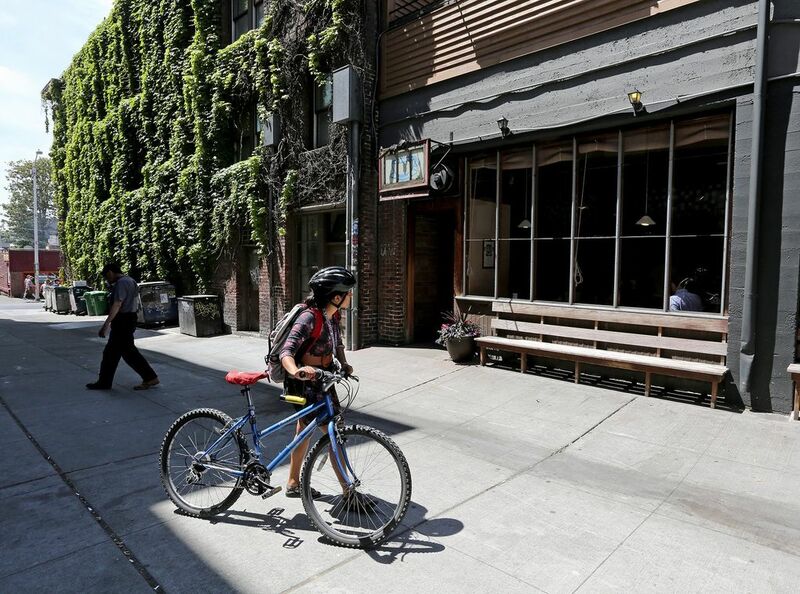 “(The) approach was to change the culture of the way people see the alleys,” said Liz Stenning, the public realm director of the Alliance for Pioneer Square, which worked extensively with the International Sustainability Institute to develop alley projects. Changes in city policies have helped. Large dumpsters were removed from certain right-of-ways as part of the city’s Clear Alleys Program. Nord Alley received a city permit to hang art panels on its walls. Now, Nord is scheduled to be repaved, to fix what’s now an uneven mix of asphalt and faded historic brick. The change will make the alley accessible to more people — the elderly, for example, and kids, said Ben Rainbow, owner of Back Alley Bike Repair shop, which moved into the alley in 2012. Nord was also the first alley to become a “festival street,” a designation that the Seattle Department of Transportation created in 2011, which allows alleys to get one permit to hold multiple events throughout the year. 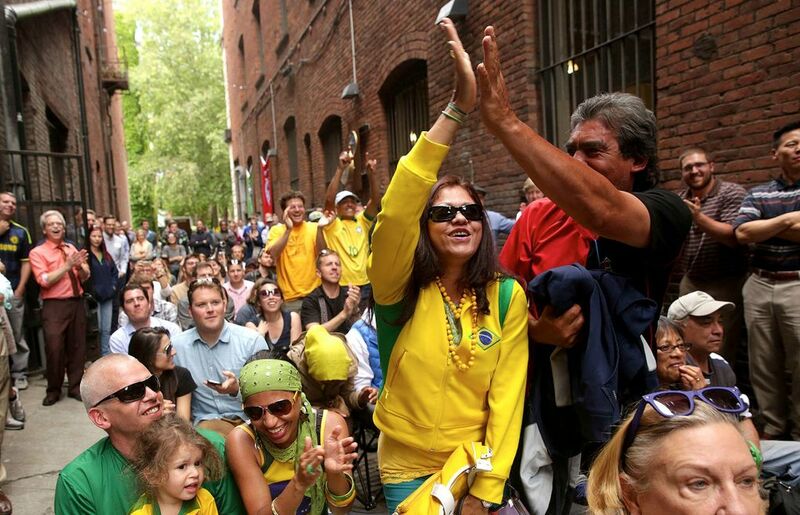 Proponents hope Pioneer Square can be the model for alley renovation elsewhere. Like Nord, Canton Alley may undergo significant renovation soon, too, with plans for new paving, lights and an entry sign. Those proposals are pending before the neighborhood’s historic review board. And a partnership in the University District is proposing redesigning three alleys east of University Way between 45th and 41st streets. The stretch south of 43rd Street is more developed than the rest, already housing bike racks, greenery and the entrance to Café Allegro, Seattle’s oldest espresso bar. Maryman, who worked on the U District alley plan with SvR Design, said the University District Partnership knew it wanted to develop its alleys but wasn’t sure what to do first. The basics are simple, he said: Give the alley a name, start holding events there and encourage businesses to establish entrances onto it. “It’s when a community comes together and starts to claim that alley as the public space … that’s when real magic starts to happen,” he said. Miguel Otárola: 206-464-2225 motarola@seattletimes.com. On Twitter @motarola123.